How big is Grand Poker? Grand Poker is currently a low traffic room as 5Dimes is in the process of closing its skin on WPN and migrating players to its own Grand Poker Network. Share this page to help get the word out to US and RoW players looking to add a second poker site to their rotation. With its low rake structure, 50% flat rakeback, an extra 10% rakeback from the deposit bonus, and soft games thanks to American players being accepted, Grand Poker should grow over time to become one of the most popular online poker rooms in the industry. Grand Poker pays 50% rakeback to players – no complicated VIP system or deductions, just conventional, flat 50% rakeback on all rake you pay. That makes Grand Poker rakeback the best offer in the US, beating e.g. 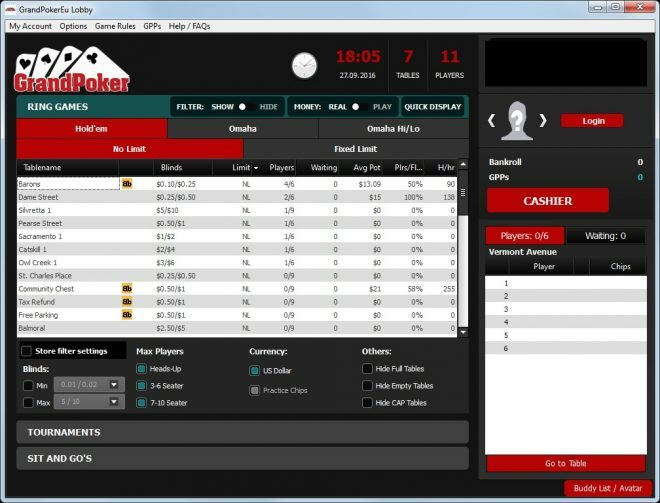 Americas Cardroom on the Winning Poker Network (WPN) with its 27% rakeback. Both American and RoW players are accepted. 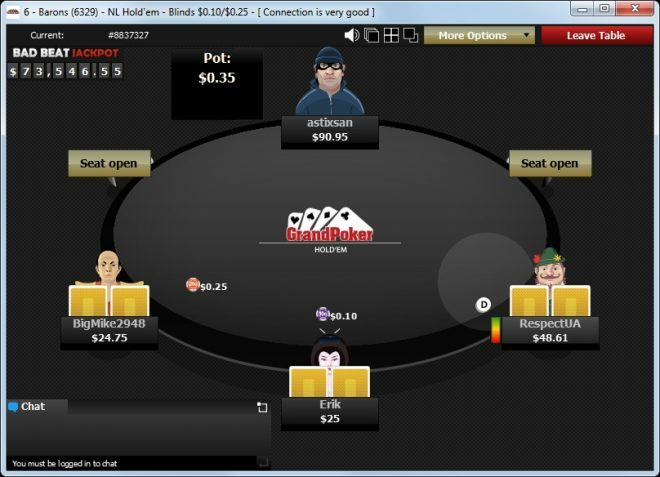 Grand Poker is managed by a team that previously ran Black Chip Poker on WPN. 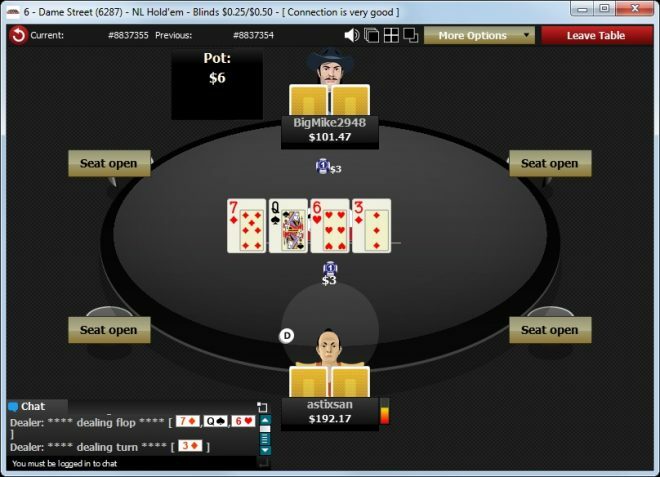 The Grand Poker Network is owned by 5 Dimes, one of the oldest and most reputable names in online gaming. 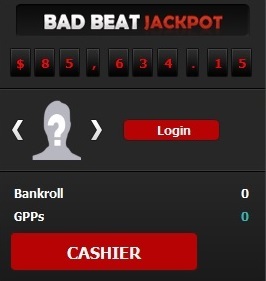 No bonus code is required when signing up for Grand Poker rakeback. Simply use the links on this page. The 50% Grand Poker rakeback is divided into two chunks – players can redeem 35% rakeback anytime they wish, in the lobby. The remaining 15% is paid automatically into players’ account balances once weekly, every Monday. Rakeback can be tracked by viewing how many GPP points have been earned, visible in the poker lobby. Players can see how much their GPPs are worth in cash by going to the points redemption page via the drop down menu. Players earn 250 GPPs per $1 rake. 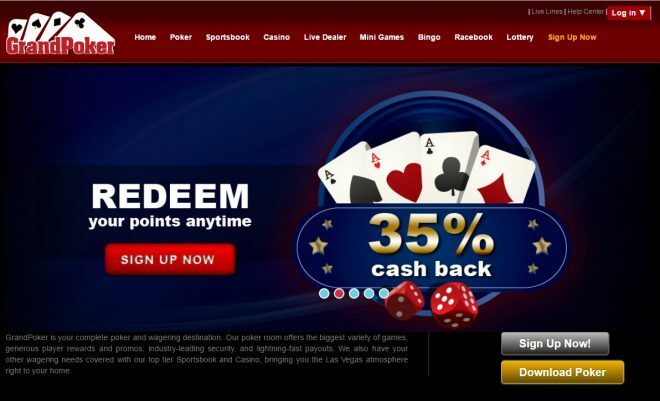 The welcome signup bonus at Grand Poker clears at an additional 10% rakeback. Deposit $1,250 to activate the largest possible 200% bonus, $2,500. That’s larger than BetOnline‘s 100% up to $2,500 bonus. Earn 60% net Grand Poker rakeback until your deposit bonus is cleared. Bonuses expire in 90 days and are paid out in increments of $10 per 25,000 GPPs ($100 rake). No Limit & Pot Limit Holdem and Omaha games are raked 3.5 – 4.5% of each pot, up to a rake cap of $0.30 – $5.00 depending on stakes and the number of players at the table. Fixed Limit games are raked 1.0 – 4.5% of each pot, up to a rake cap of $0.01 – $3.00. Grand Poker uses the weighted contributed rake method. Rakeback is paid for both cash games and tournaments. Get 50% rakeback on US facing room Grand Poker.